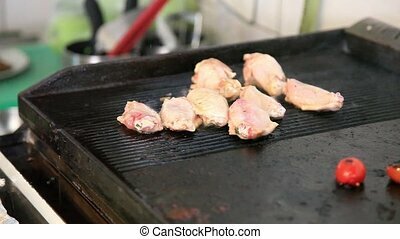 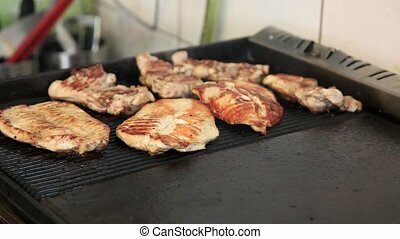 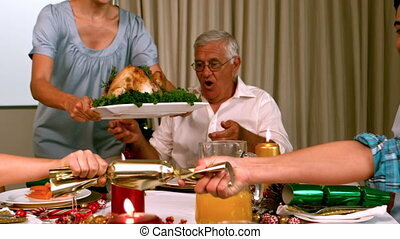 Father serving roast chicken at dinner. 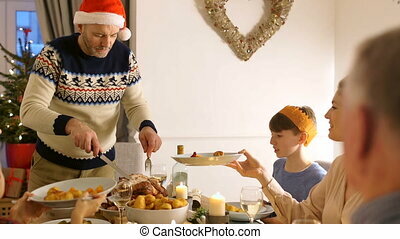 Father serving roast chicken at the dinner table at home in the dining room. 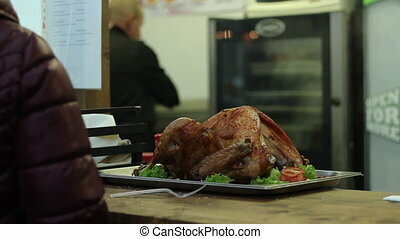 Chef ready to cook roast chicken at itinerant grill bar. 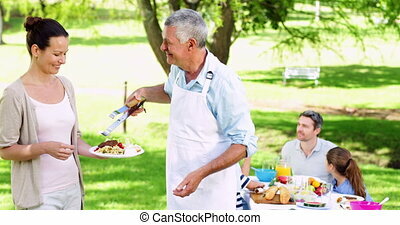 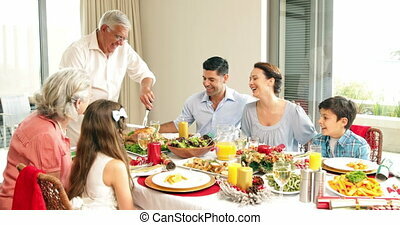 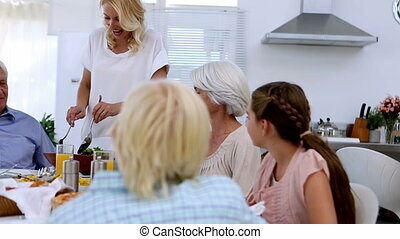 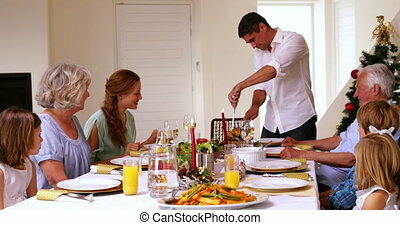 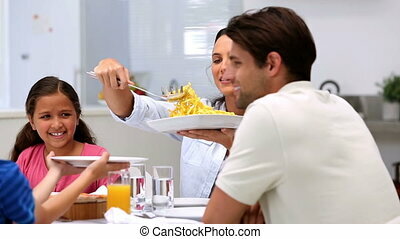 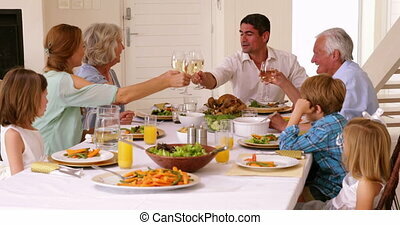 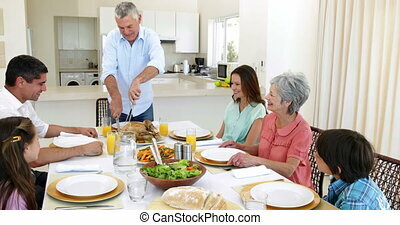 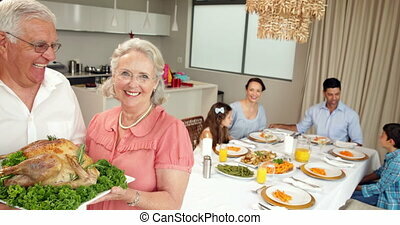 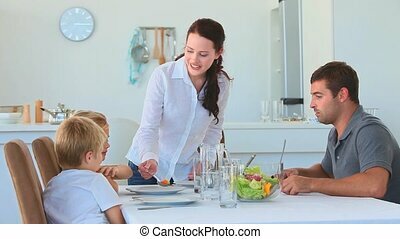 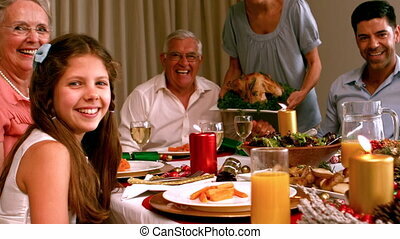 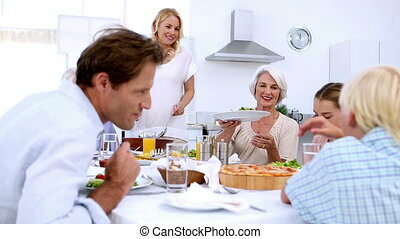 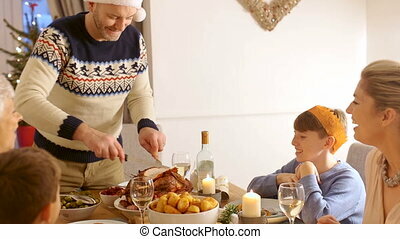 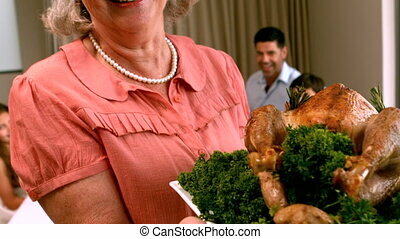 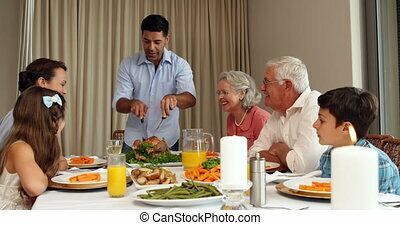 Mature man is serving his family the turkey that he has carved at christmas dinner. 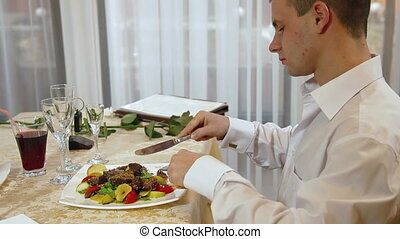 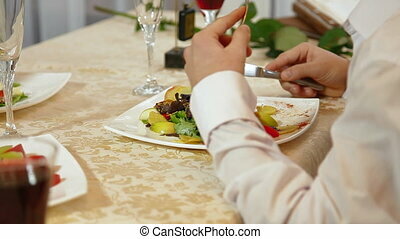 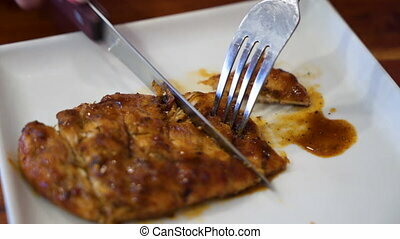 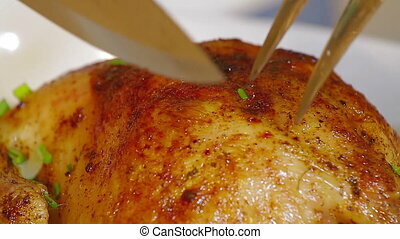 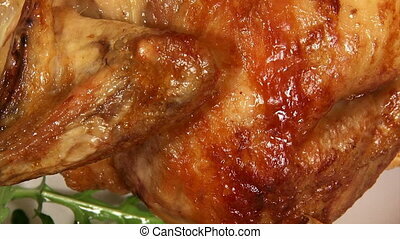 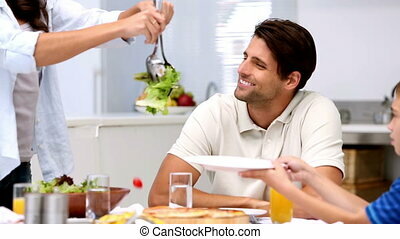 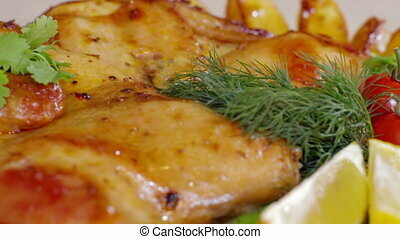 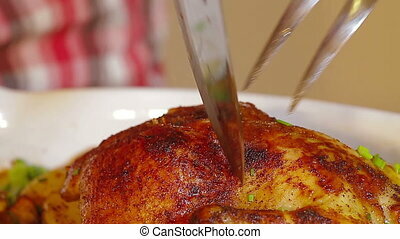 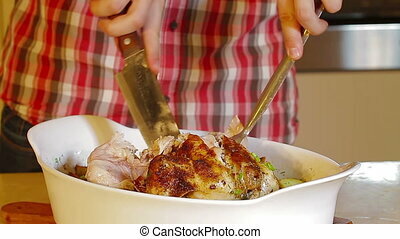 Serving a dish of stuffed chicken and potatoes and salad with a piquant sauce. 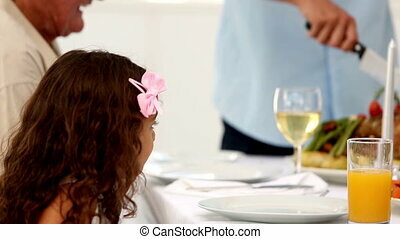 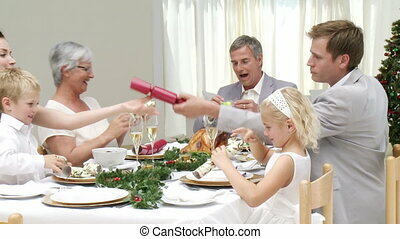 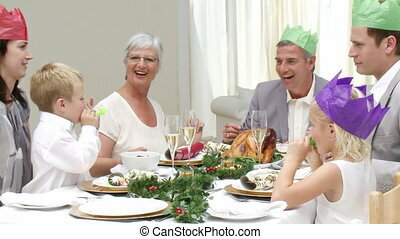 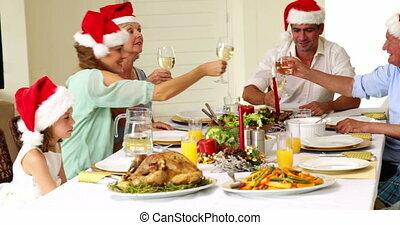 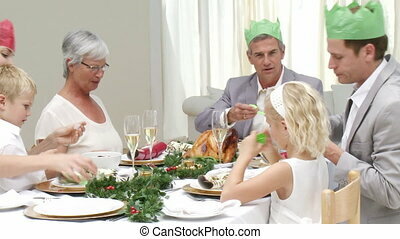 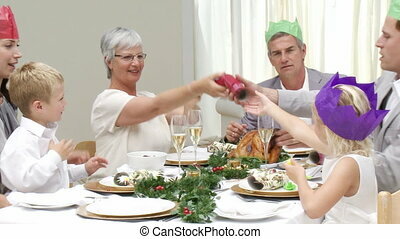 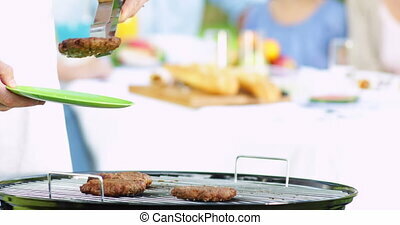 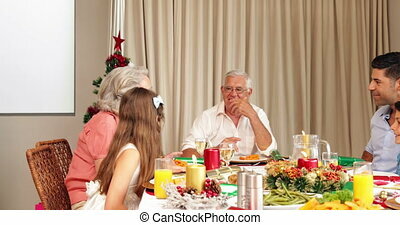 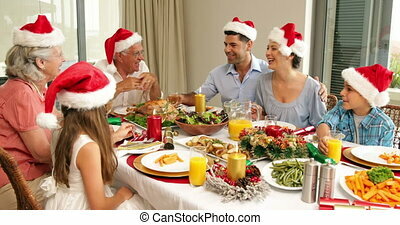 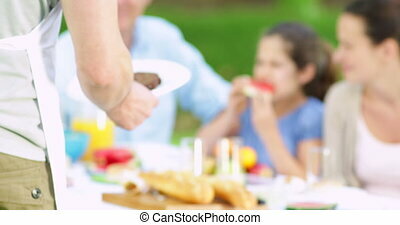 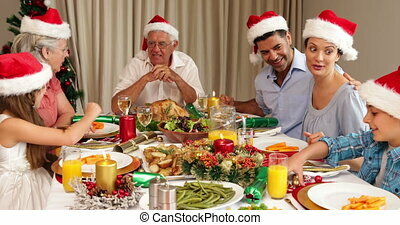 Family are talking at christmas dinner while the father carves the turkey.